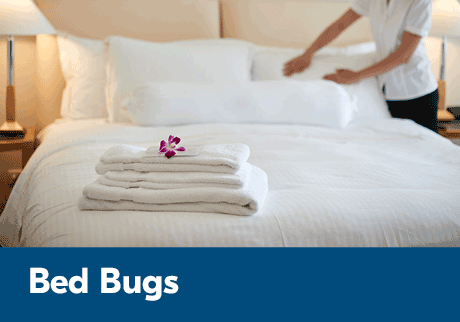 For the past few years, there has been an increase in bed bugs throughout the world and hotels are especially affected. In some parts of the world, such as Asia, hazardous and illegal products are used to get rid of bed bugs. Phosphine-based pesticides and ozone generators have been used and can result in serious problems or even prove fatal. Check the furniture and walls, behind paintings, door and window frames, baseboard heaters, electrical outlets, carpets, curtains etc. Finding dead bed bugs may be a sign that the room was treated. In addition, traces of white powder or tablets may indicate that hazardous products were used. *IMPORTANT* If you experience discomfort, it would be better to change rooms (far away from the infested one) or find another hotel. In case of doubt, you can contact the Quebec Poison Control Centre at (418) 656-8090.